Leftover Chicken? This is a great way of making use of it! You can either serve it with Basmati & Wild Rice as a Main Meal or else with a simple salad if you want as a light meal or snack. Mix the mayonnaise, garlic, onion, curry powder, cinnamon, chilli flakes if using, parsley or coriander, chutney and sultanas together. Alter any quantities to your preferred taste. If too thick, you can thin it down with a little warm water, beating well. Combine with the shredded chicken. 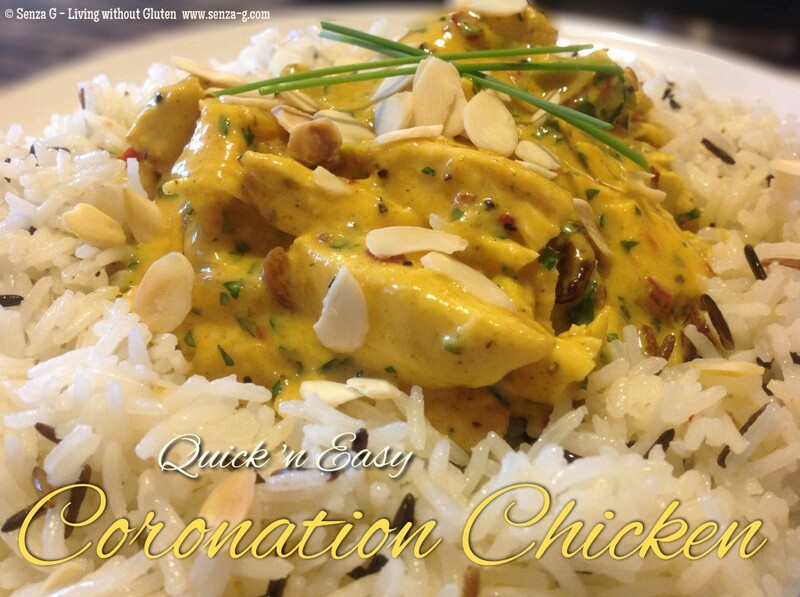 Serve sprinkled with flaked almonds, either over basmati rice or a green salad. You can also serve this in wraps with salad leaves or also on top of jacket potatoes.